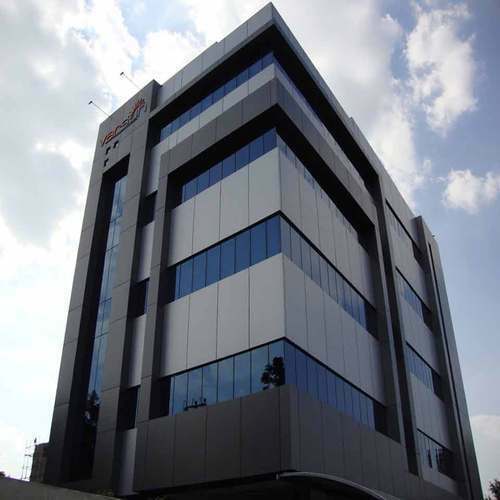 We are engaged in offering a qualitative ACP Cladding Service to our valuable clients. We offer this service in an excellent manner within a scheduled time frame. The offered service is performed by our highly experienced professionals using excellent grade cladding tools and premium quality cladding material. Owing to its perfect execution and flawlessness, this service is widely appreciated by our precious clients. Further, we provide this service as per the requirements of our clients at most affordable price. Established in the year 2014, we “Vidhi Enterprise” are a notable and prominent Sole Proprietorship firm that is engaged in manufacturing a wide range of Sliding Door, Sliding Window, Mosquito Net Window, etc. Located in Ahmedabad (Gujarat, India), we are supported by a well functional infrastructural unit that assists us in the manufacturing of a wide range of products as per the set industry norms. Apart from this, we also render highly reliable ACP Cladding Service and Glass Glazing & Fabrication Service. Under the headship of “Mr. Naresh” (Manager), we have gained a remarkable and strong position in the market.